The Broward Sheriff’s Office says 17 people were killed yesterday at Marjory Stoneman Douglas High School in Parkland, Florida. The school shooting, one of the deadliest, happened on Valentine’s Day. Some 14 people were injured and a football coach was killed. 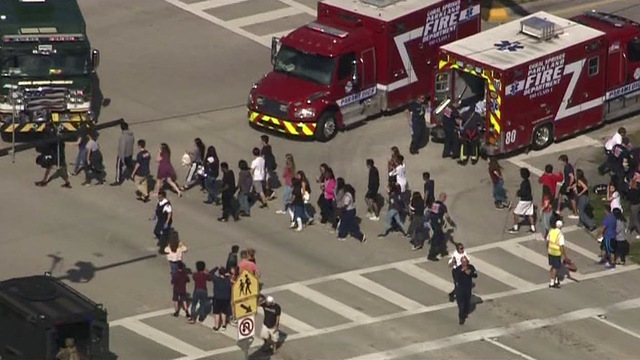 The Broward Sheriff’s Office said responding deputies were met with hundreds of students running out of the school. As shots rang out, students and teachers ran for safety, some huddling and hiding in classrooms and closets. Investigators learned the shooter hid himself by being among the those fleeing the school. From school security video, investigators identified the shooter as Nikolas Cruz, a 19-years-old former student. Cruz was expelled from Stoneman Douglas High School last year. Cruz has been booked into the county jail and faces 17 counts of premeditated murder. 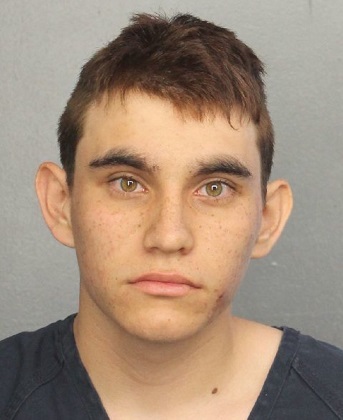 Cruz reportedly had a troubled past, talked openly about guns and made threats at school. Broward Sheriff Scott Israel said all victims have been identified and families will be notified. “The violence has to stop. We cannot lose another student to violence in school,” Florida Governor Rick Scott said in Parkland, Florida during a televised news conference this morning. Governor Scott and Broward County School Superintendent Robert Runcie said a real conversation with lawmakers on sensible gun control and mental health are needed to make sure this doesn’t happen again and that all school students are safe. Runcie also asked everyone to continue to pray for everyone affected by this tragedy. “We’re praying for these families and that justice is done. My job is to help these families and help pay for their funerals and hospital bills,” Florida Attorney General Pam Bondi said. Bondi announced a site for donations will be set up as it was to help victims of the Pulse Nightclub mass shooting in Orlando. “This is a time to not save money on police, first responders. We need more of them,” said Sheriff Israel. He also asked for more authority to detain those who post disturbing comments or photos of guns and themselves on social media and to take them to a medical facility to be examined. Coconut Creek Police arrested Cruz in a nearby neighborhood in Coral Springs. The Broward County Sheriff Office news release described Cruz “exhibited labored breathing.” He was taken to a local hospital as a precaution for medical clearance. Seventeen victims were taken to Broward Health Coral Springs, Broward Health North, Broward Health Medical Center and Boca West Medical Center. Two shooting victims died on the way to the hospital. Stoneman Douglas students were taken to a hotel near the high school to reunite with their parents. Stoneman Douglas High School will remain closed for the rest of the week. All activities there also have been cancelled. Grief counselors also are available at Broward County schools today. The Broward County Sheriff’s Office tweeted a blood donation drive will be held today for the Stoneman Douglas High School victims at noon – 7 p.m. at 2741 29th Avenue in Hollywood, Florida. This entry was posted in Asian Community Alert, Asian Community Houston, Community Alert, Florida News, National News and tagged Parkland Florida School Shooting, Stoneman Douglas High School Shooting. Bookmark the permalink.